You Have Been Kidnapped! 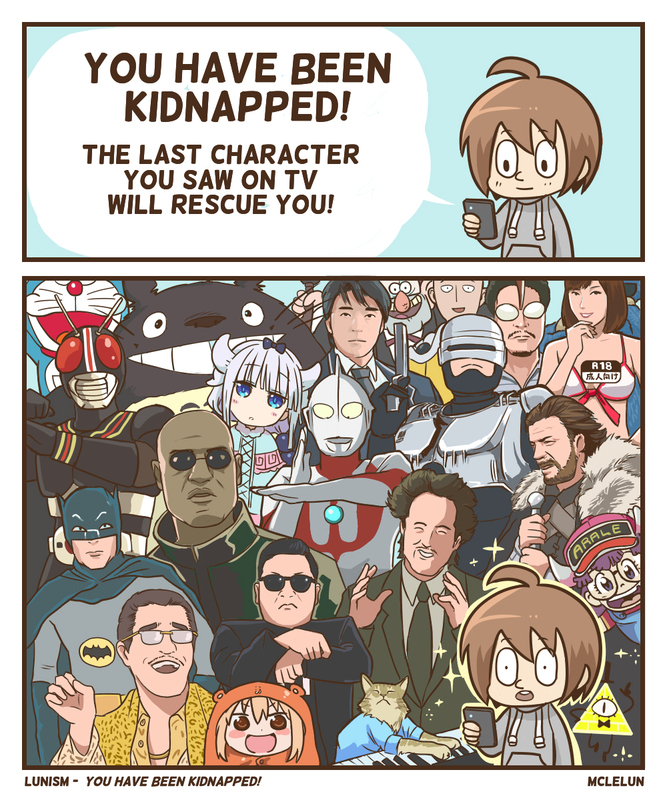 The last character you saw on TV will come to rescue you! Look at all the possibilities! Everyone can be a hero! Every character on tv can come and save you in their own unique way.